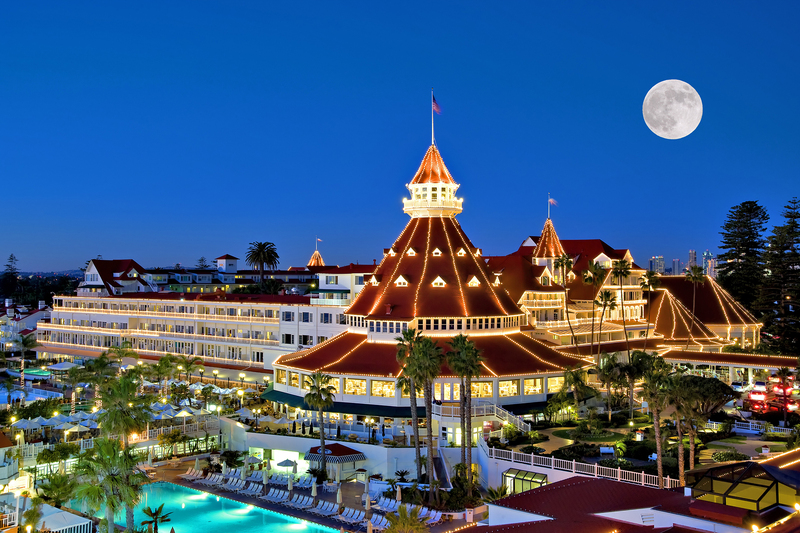 Comic-Con isn’t the only thing to do in San Diego (well, not for 51 weeks of the year, anyway). And it isn’t just about sun-shiney good times at the beach, either—although we admit, it is a little bit about that. Instead, the birthplace of California has some of the country’s best cultural offerings, and they really shouldn't be missed. 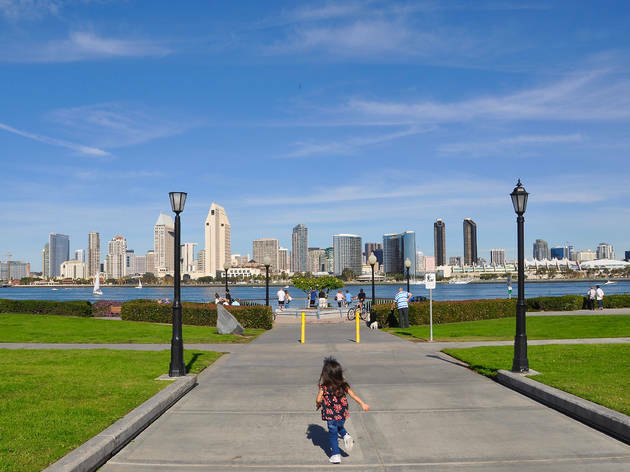 Thanks to historical districts, a thriving restaurant scene, galleries and museums aplenty, San Diego doubles as one of America’s top family-friendly destinations. In fact, there's even iconic amusement parks, a world-famous zoo and tons of parks and picnic spots, too. Oh, and mom and dad, it’s also a craft brewery and nightlife mecca—so be sure to book a sitter. What is it? 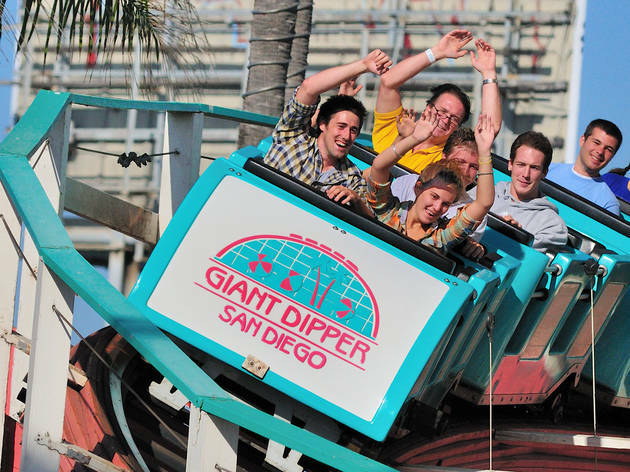 The thrilling centrepiece of this vintage amusement park in popular Mission Beach is called the “Giant Dipper” – and it's a national, historic landmark in its own right. Why? Because the construction of this incredible wooden roller coaster dates back to 1925, the so-called ‘Golden Age’ of wooden coasters, but it can still be ridden today thanks to a $2 million restoration. Why go? 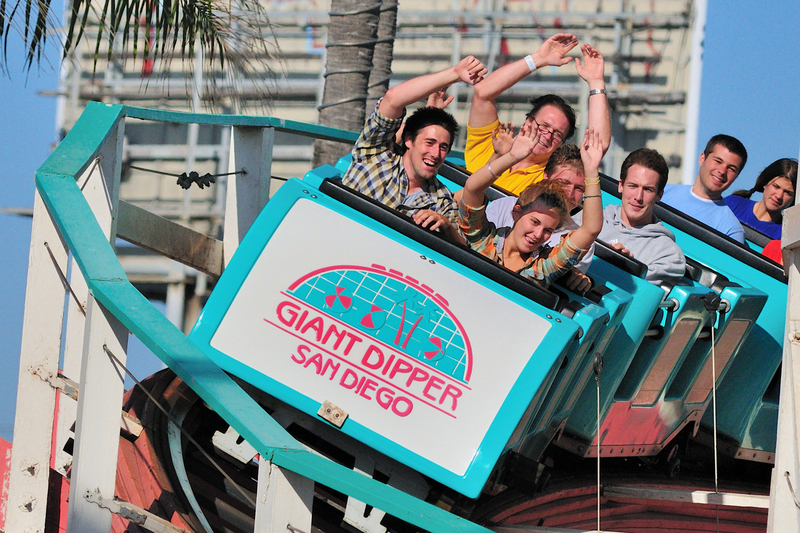 Put your hands up for the Giant Dipper, because for just $6 per person you can ride its famous dips and turns. With speeds of up to 48 mph and beautiful views of both neighboring Mission Bay and the Pacific Ocean to enjoy as you do (if you keep your eyes open, that is). What is it? Dubbed the “jewel of Southern California”, La Jolla is a curiously quaint Mediterranean-style village just a few minutes drive from downtown, (but feels like you’ve accidentally taken the exit for Greece or Italy). Why go? There’s plenty to keep you entertained here, including some of the city’s finest restaurants like Nine-Ten in the Grande Colonial Hotel. 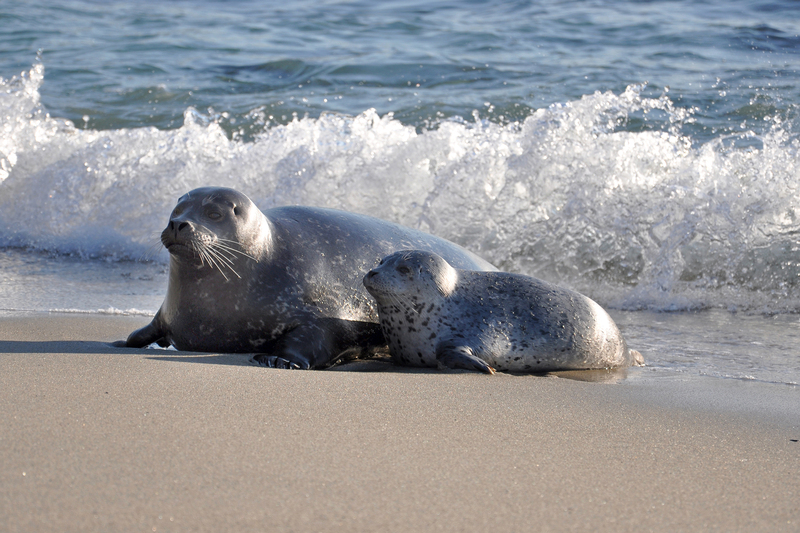 Don't miss the nearby Legends Gallery, which boasts a nice collection of artwork by former La Jolla resident Dr. Seuss, or the Instagram-friendly La Jolla Cove, where you’ll almost always find groups of seals and sea lions. What is it? The monumental USS Midway was the longest-serving aircraft carrier in US Navy history when it was decommissioned in 1992. 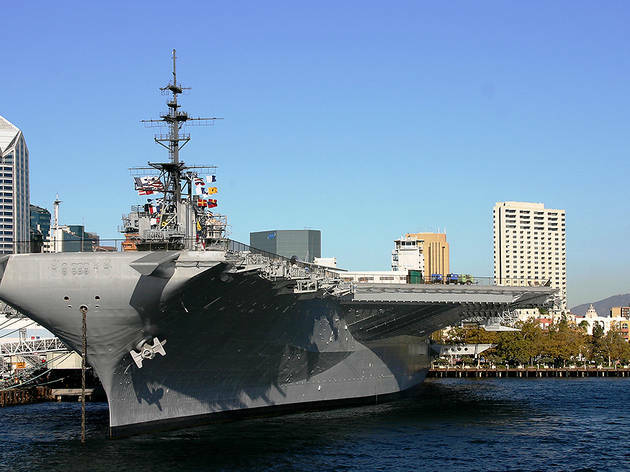 Now the feted ship—the size of a floating city—is a floating maritime museum, berthed alongside San Diego Bay in downtown. Why go? Climb aboard for a fascinating insight into what naval life is really like, courtesy of a self-guided audio tour narrated by some (refreshingly honest) former Midway sailors. Plus, if you've got little ones who love being onboard, you can also book the ‘Little Skippers Overnight Adventure’. One of the Midways many available experiences, not only will you and the kids get to sleep like a sailor, but you'll enjoy dinner and breakfast, explore the boat and take part in character building activities, too. What is it? 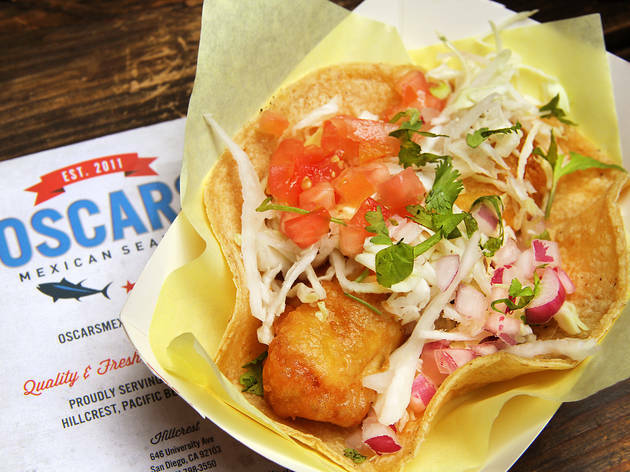 Pretty much every local has an opinion on the best fish taco in town, but if there was one stand-out winner it would be Oscars, a traditional Mexican seafood joint with five locations around the city. Why go? You might have to stand in line but trust us, the ‘taco especial’ (shrimp or smoked fish with cabbage, onion, tomato, cilantro and cheese) is well worth the wait. Just thinking about it has our mouths watering. What is it? 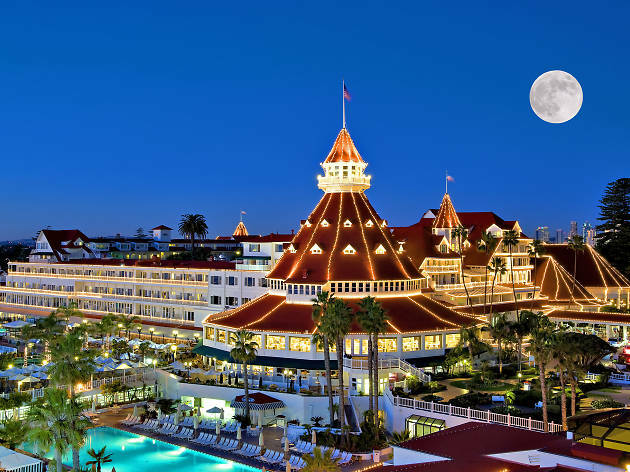 Famous for its peaked red roof, classic Victorian architecture and serene ocean vistas, this hotel is an iconic San Diego landmark that puts on an iconic Sunday brunch. Why go? Enjoy the renowned egg soufflé while you soak up a little of the resort’s glamorous history. This was once the playground of Hollywood’s biggest stars, on-screen and off: The hotel was the backdrop for the gender-swapping hijinks of Jack Lemmon, Tony Curtis and Marilyn Monroe in Some Like It Hot. What is it? 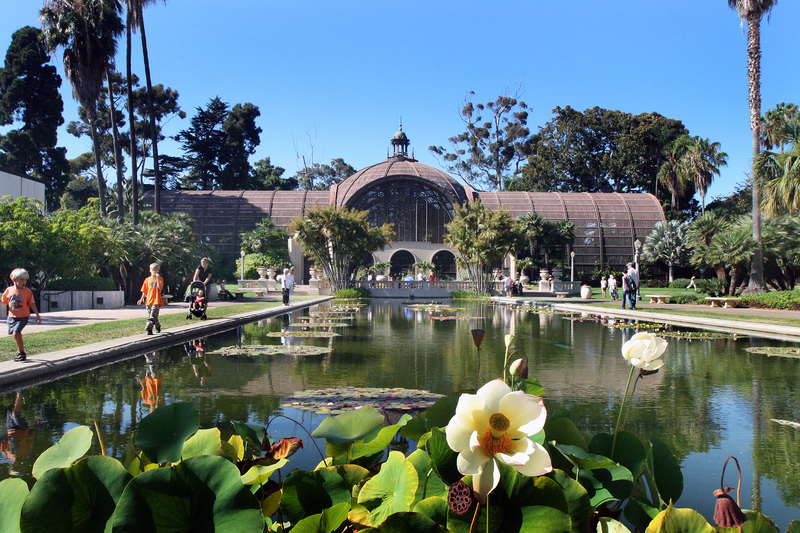 No visit to San Diego is complete without taking in Balboa Park. The sprawling 1,200-acre public park is home to the Old Globe theater, a gargantuan outdoor pipe organ and no less than 15 major museums. Why go? You could easily spend an entire day strolling through the lush gardens and peeping historic architecture. Since you have an awful lot of ground to cover, it's worth signing up for a segway or walking tour to see it all. What is it? 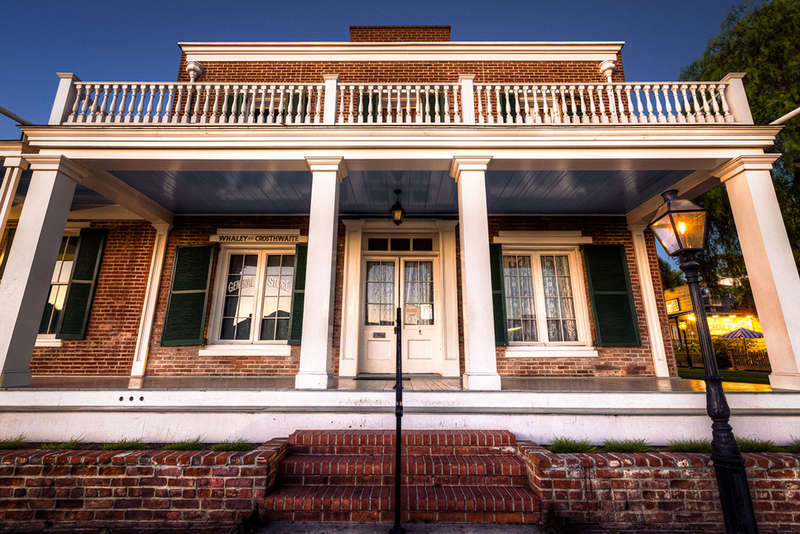 The Whaley House in San Diego’s Old Town is one of only two officially designated haunted houses in California (yes, official!). Why go? 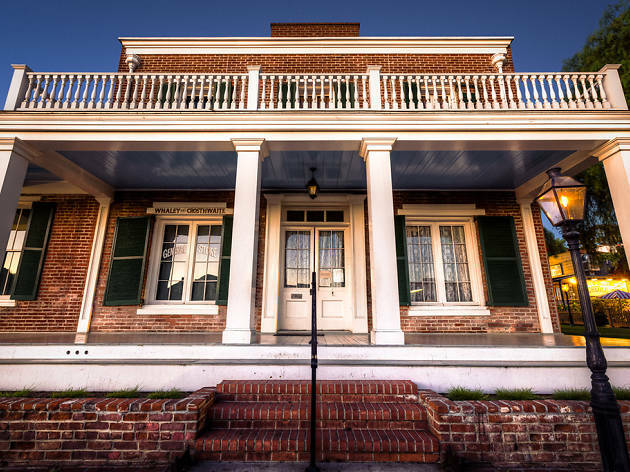 Built in 1857 on the town’s former gallows’ site, the house was once home to the wealthy but troubled Whaley family—and rumor has it that various members of the clan never left. Other ghosts said to haunt the house include a grand larcenist who fought ferociously to keep himself alive at the gallows. What is it? 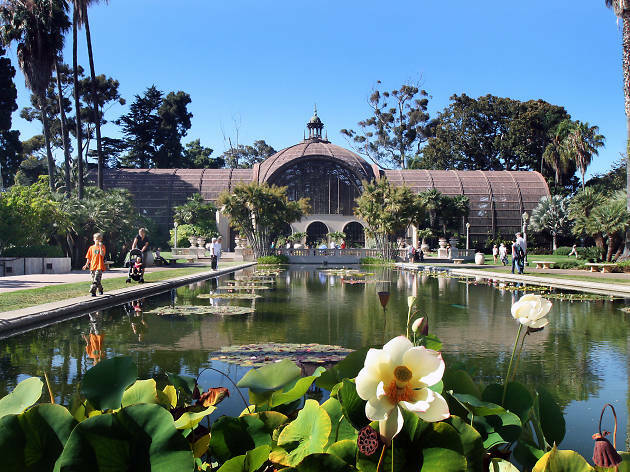 Tucked away within the vast, verdant Balboa Park, the San Diego Zoo is home to an astonishing amount of wild animals, from big cats to komodo dragons. 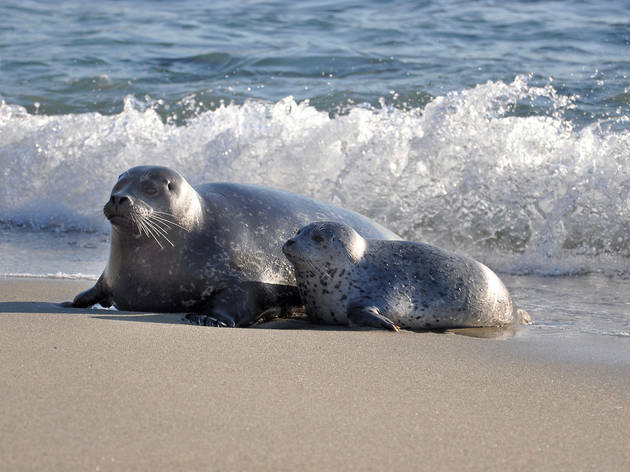 You can also partake in one of the animal experiences and fulfil your dream of becoming a keeper for the day or enjoy a sunrise stroll, where you'll see everything that happens before the park officially opens to the public. Why go? 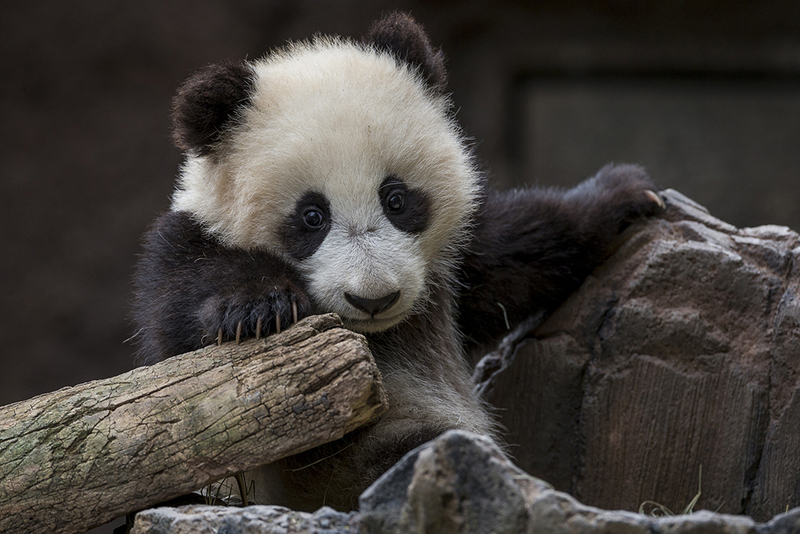 There's a pretty solid reason as to why it's described as one of the best zoos in the world. The San Diego Zoo pioneered the concept of open-air, cageless exhibits to recreate more natural animal habitats, and remains one of the few zoos outside of China to house Giant Pandas. If you've got a day going spare on your trip, then make the journey to its sister property, the San Diego Zoo Safari Park, to get even closer to the bigger African and Asian animals. What is it? 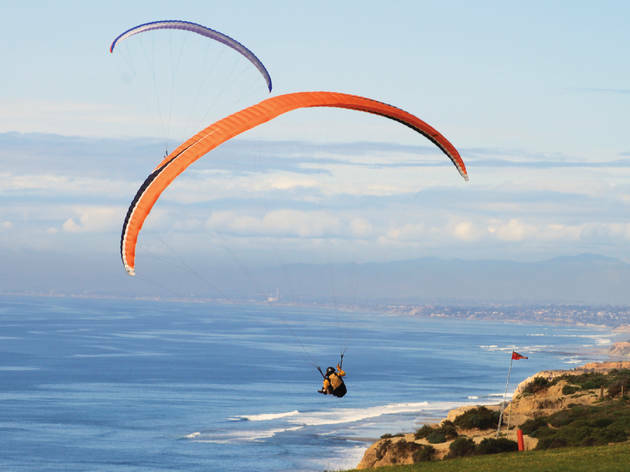 Enjoy a bird’s-eye view of San Diego’s exceptional Torrey Pines State Natural Reserve, by swooping serenely overhead in a paraglider. 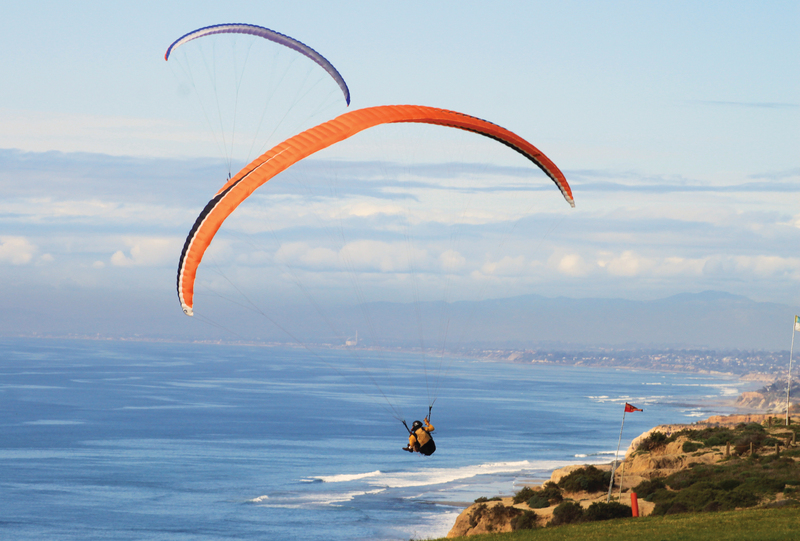 Torrey Pines Gliderport is home to one of the most successful paragliding schools in North America, and flight experiences start from $165. Why go? You’ll be strapped to a qualified pilot so there’s nothing to worry about except enjoying the views of the 2,000-acre reserve, its numerous hiking trails and sandstone cliffs beneath you. What is it? Yeah, we know - California may be famous for wine, but this city is way better known for its delicious craft beer. It would be impossible to pick from the nearly 100 breweries and microbreweries operating across San Diego, so drink with the locals at Toronado. Why go? 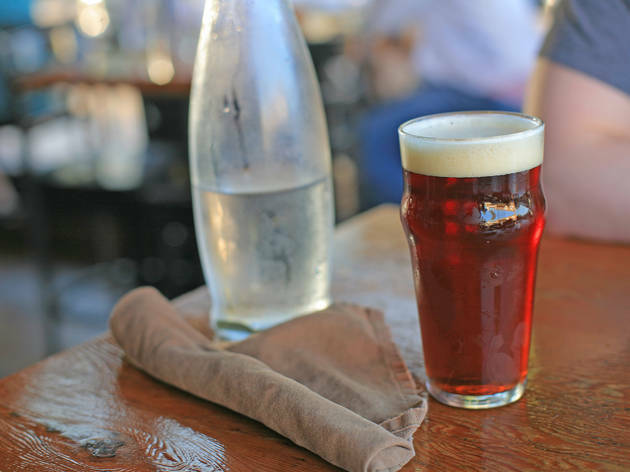 Sip local suds like Ballast Point and Green Flash from a constantly changing bottle list. But if you feel like leaving the thinking (and more importantly, the driving) to somebody else, opt for a brew tour by bus, like the San Diego Brewery Tour. What is it? 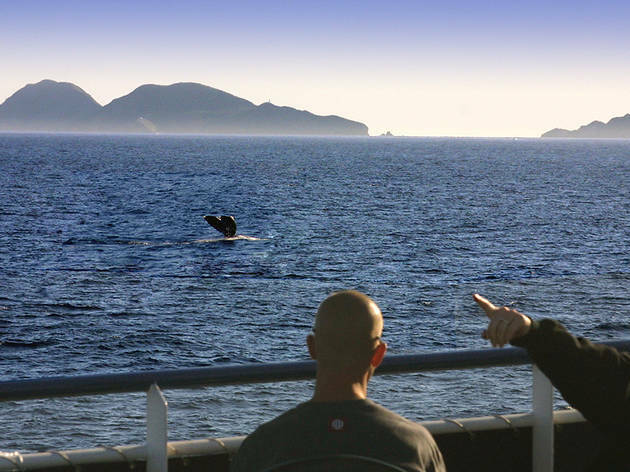 Whale-watching trips from the city are both plentiful and fruitful, with the blue whales the center of attention between June and September and their gray cousins taking over from December through April. 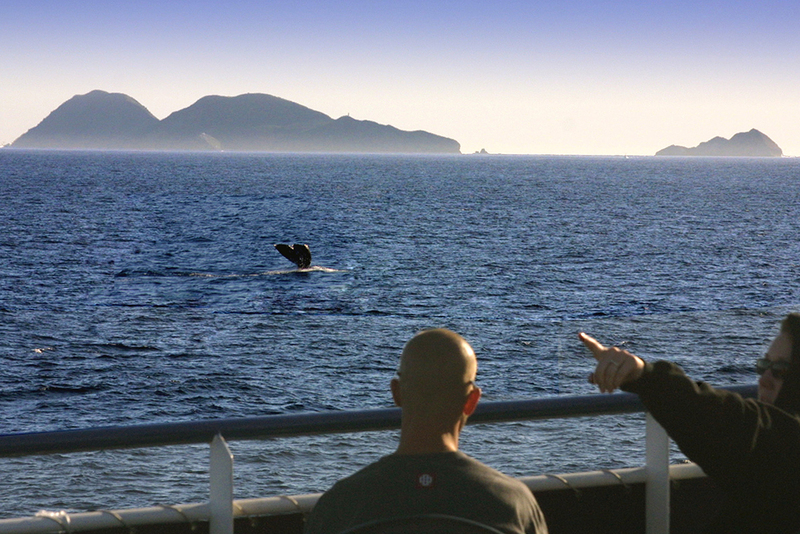 San Diego Whale Watch offer year-round excursions for $48 per person. Why go? At 100 feet long and weighing up to 200 tons, blue whales are the largest animals to have lived on earth—and pods of the graceful giants have been sighted off the San Diegan coast in recent years. What is it? 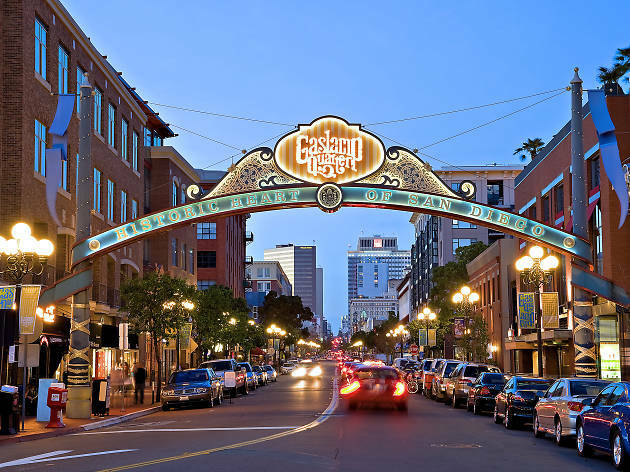 As the alluringly charismatic and historic heart of San Diego, the 16-and-a-half-block Gaslamp Quarter blends Victorian charm with a 21st-century entertainment and shopping scene. 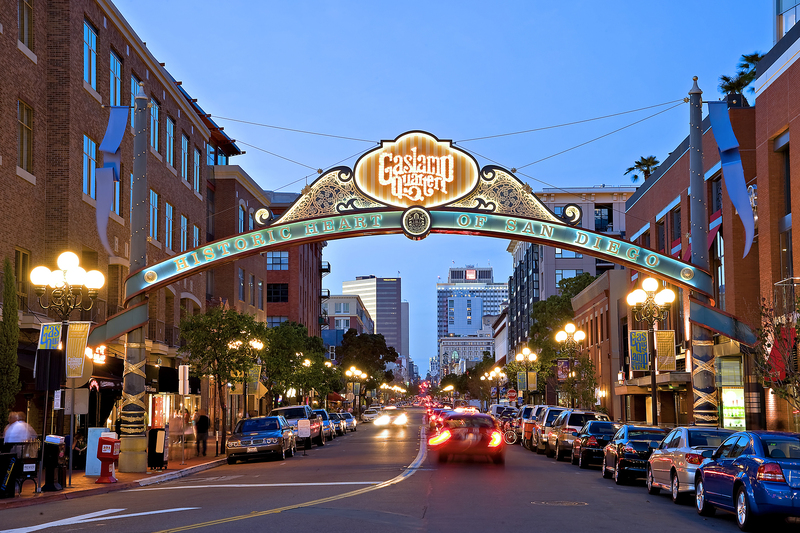 Impressively, the Gaslamp Quarter just celebrated it's 150th anniversary too. Why go? The site of the city’s red light district in the 19th century, the area has been revitalized over the last 20 years and is now home to more than 100 retail stores. Dust off your credit card and check out some of the highlights, such as Blue Jeans & Bikinis and Dolcetti Boutique. Why go? 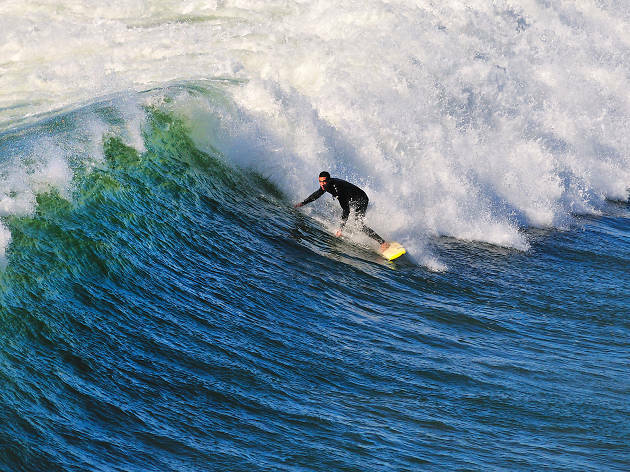 Turn up the volume and drive down to watch the action—but don’t attempt Swami’s yourself unless you’re an experienced surfer. If you’re a novice but keen to try the sport, visit Surf Diva in La Jolla, the world’s first all-woman surf school, for a private lesson. What is it? 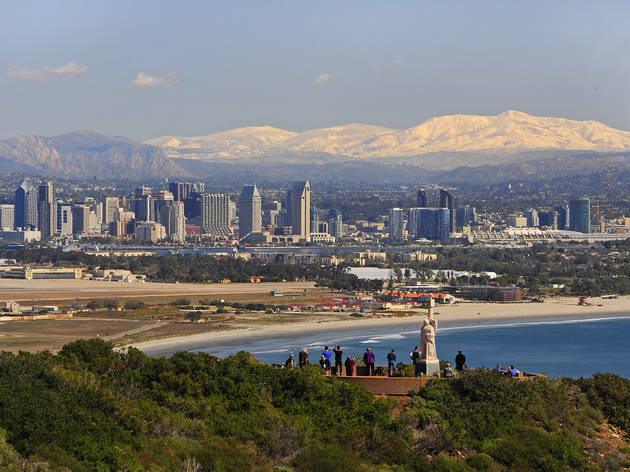 Sitting proudly amongst the astonishing cliffs of Point Loma, Cabrillo National Monument commemorates the historic moment when Portuguese explorer Juan Rodriguez Cabrillo sailed into San Diego Pay under the Spanish flag and discovered California in 1542. Why go? 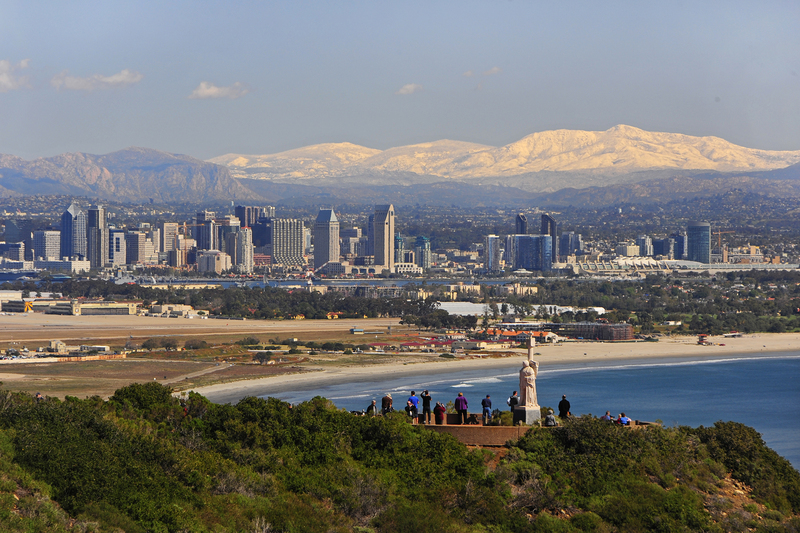 First of all, the monument boasts spectacular views of San Diego Bay, downtown and the surrounding region. Yep – on a clear day, you can even see the hills of Tijuana, Mexico. Once you've taken in the incredible vista, take some time to check out the quaint exhibit hall next to the monument, which is dedicated to the Cabrillo's life. What is it? 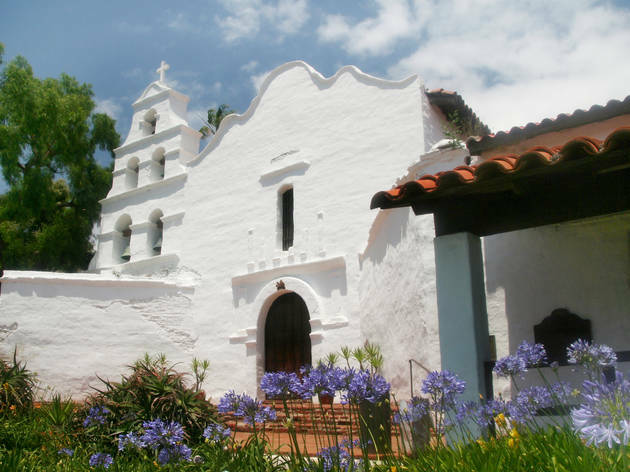 The first and grandest of the California missions is Mission Basilica San Diego de Alcala, founded by the Spanish in 1769. Why go? The birthplace of Christianity on the West Coast, the Basilica—nestled down in stunning Mission Valley near the San Diego River—is a beautifully serene place to visit. 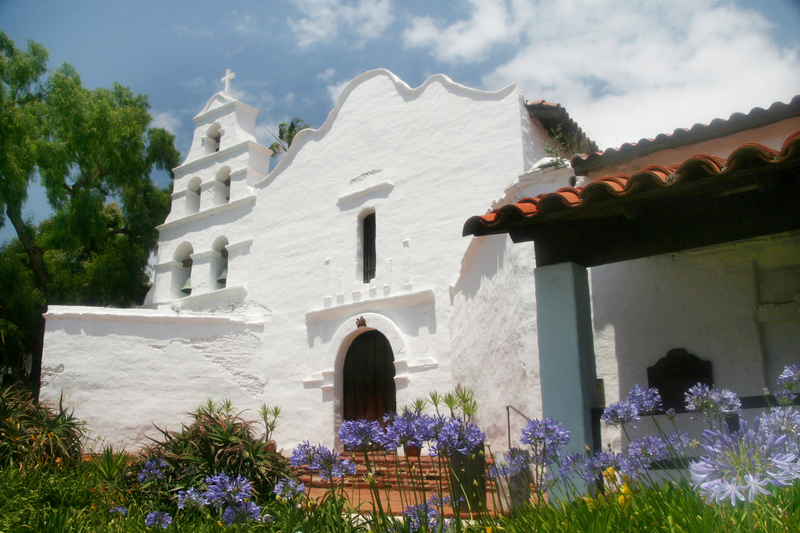 History buffs can make reservations for a tour, attend mass in the original chapel, visit the mission’s museum and stroll the oldest known cemetery in California. What is it? Spend your time eyeing up the best in aesthetics? 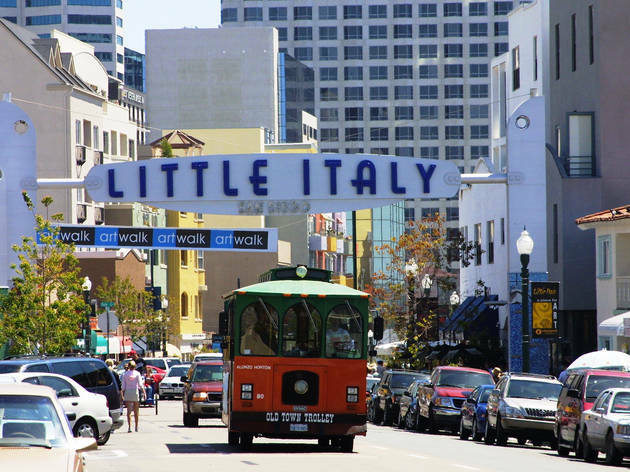 You’ll likely strike gold among the quirky stores in North Little Italy’s design district. Why go? One of the best is Boomerang for Modern, a wonderfully eclectic store selling a treasure trove of new and vintage furniture and accessories across three floors. If you have time, venture a few doors down Kettner Boulevard to Architectural Salvage of San Diego, which stocks everything from vintage door knobs to stained glass windows. What is it? 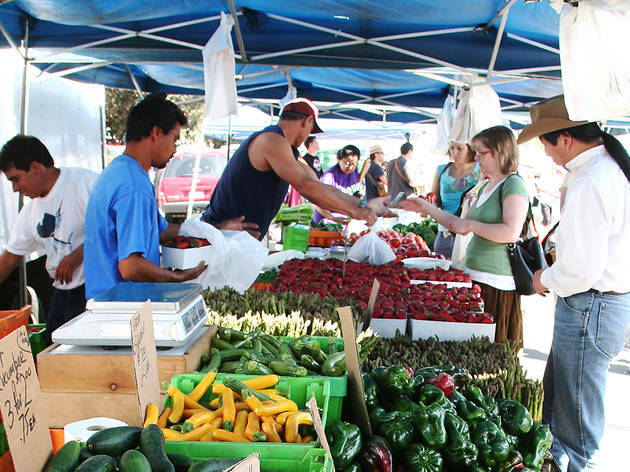 Grab your mesh bag and head for the Little Italy Mercato Farmers’ Market, where you'll discover an array of beautifully fresh local produce and straight-outta-the-ocean seafood. 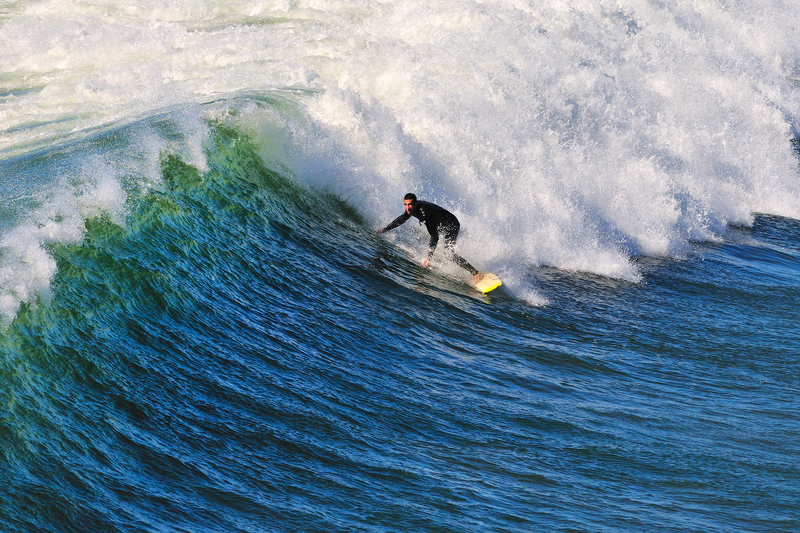 It's so fresh, the ocean doesn't even know it's gone. Why go? 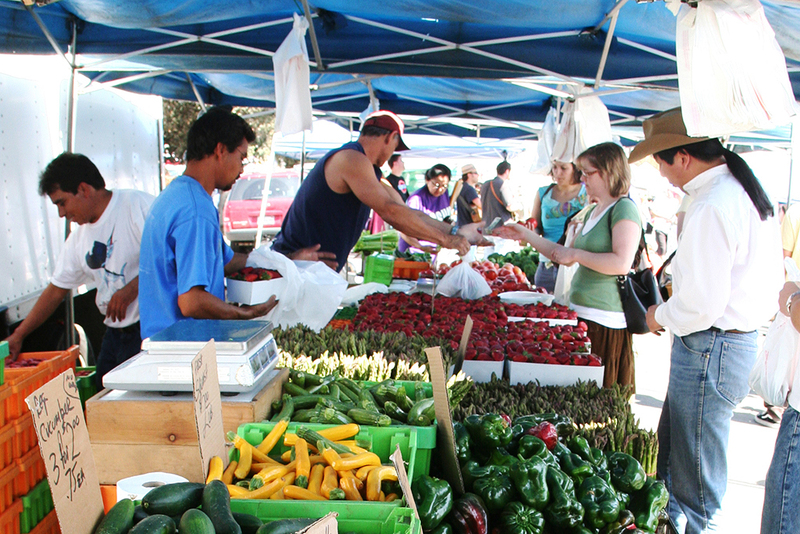 To get a feel for the real San Diego, do as the locals do: Farmers’ markets take place every day of the week in San Diego, with more than 20 held across the city every weekend. For a complete schedule, visit the San Diego Farm Bureau. What is it? 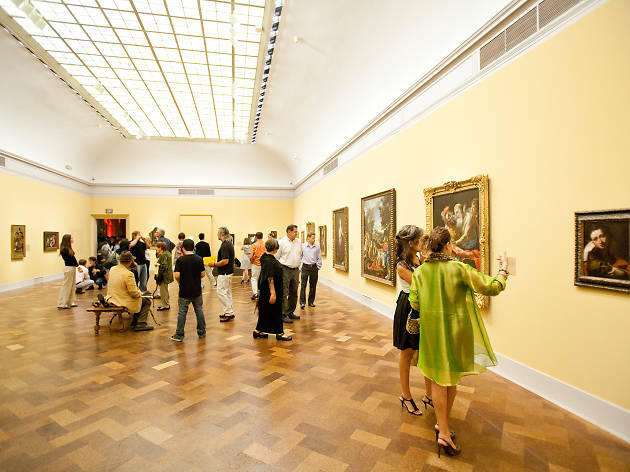 The region’s oldest, largest and most visited art museum, the San Diego Museum of Art has a nationally renowned permanent collection that includes Spanish and Italian old masters, as well as 19th-century American paintings and sculptures. Why go? It’s not all icy beers, big animals and sunny good times: San Diego pulls its weight, and then some, on the cultural front. 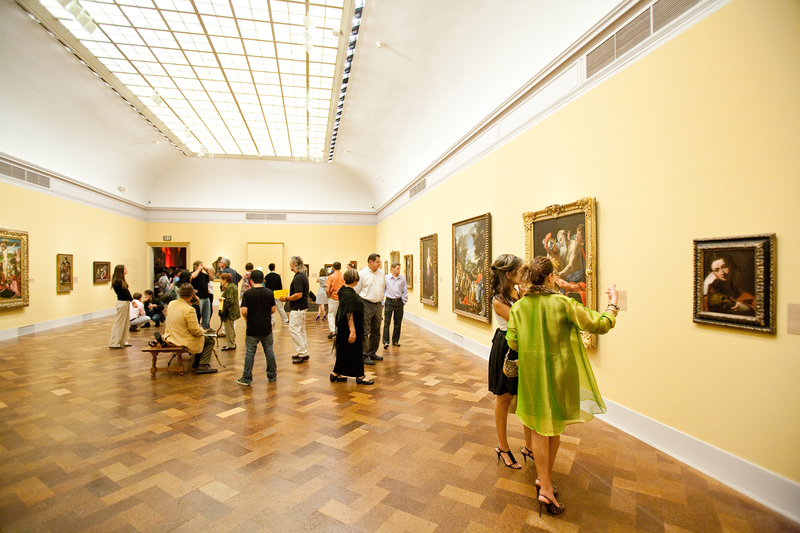 Catch notable exhibitions from around the world. What is it? You’re tantalizingly close to the border, but you don’t need to cross it for some seriously authentic Mexican food. 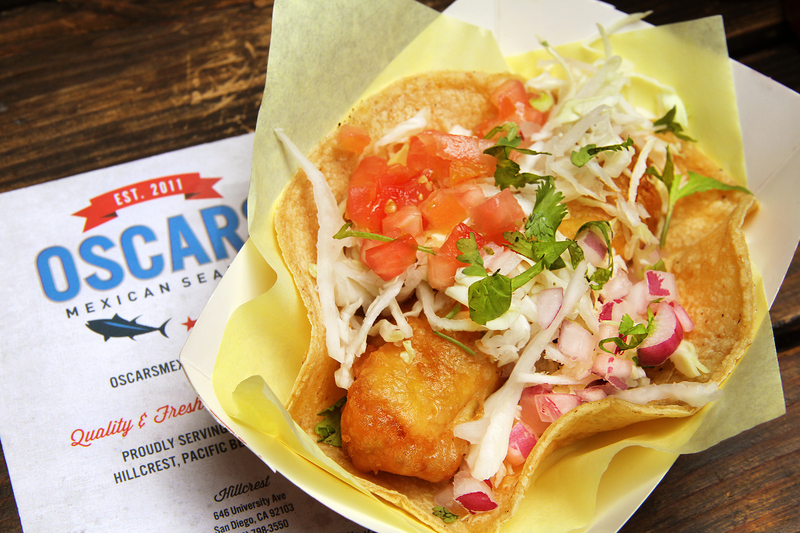 Beeline for Barrio Logan, the epicenter of San Diego’s Hispanic community, for dinner. Why go? 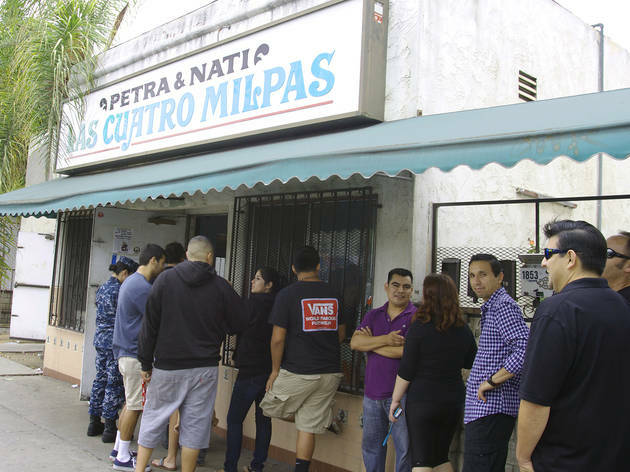 The city’s freshest handmade tortillas can be sourced at Las Cuatro Milpas, an unassuming eatery with lines often extending around the block. 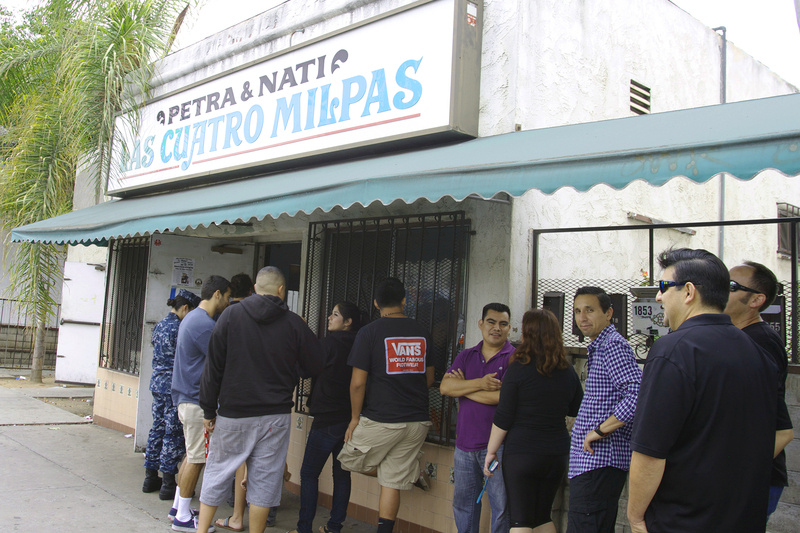 For dessert, stroll to nearby Panchitas Bakery, which holds legendary status among San Diegans for its homemade Mexican pastries and steaming abuelita hot chocolate. What is it? The Belly Up Tavern at Solana Beach is renowned for breaking the latest hip-hop, jazz and reggae acts. There's also an on-site bistro, Wild Note Cafe, where you can refuel on a huge range of delicious edibles, from truffle fries and blackened salmon to street tacos and key lime pie. Why go? 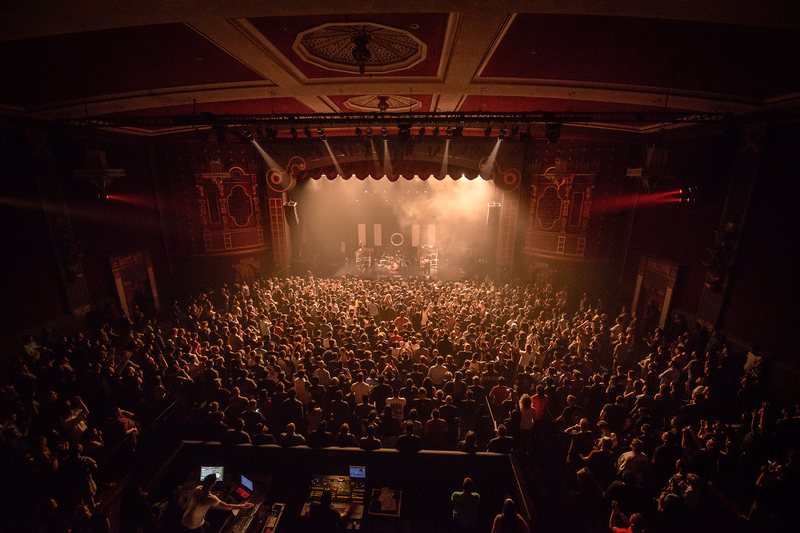 Music fans have flocked to San Diego’s live venues for years to discover local bands like Jason Mraz, Iron Butterfly and Blink 182 before they broke onto the mainstream. 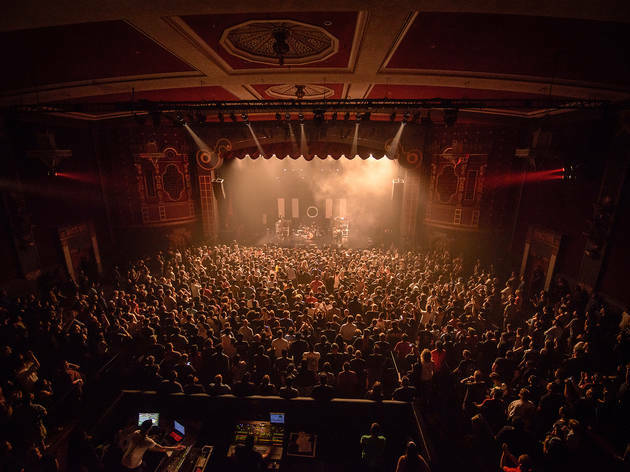 Today the city’s diverse music scene is alive and kicking at a number of notable venues, including The Belly Up Tavern and The Casbah. Looking for activities that the whole family will enjoy? 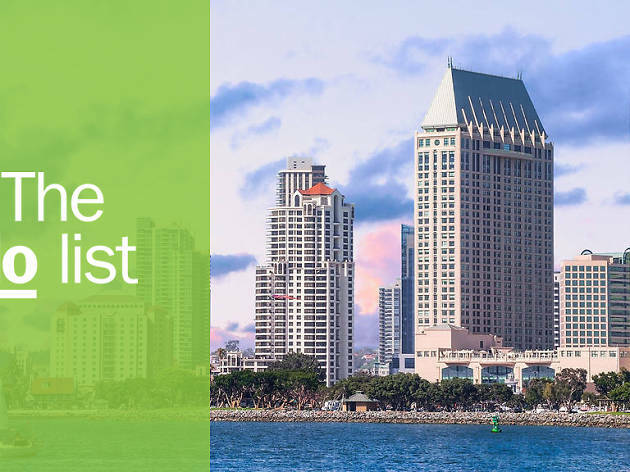 With sunny beaches, fantastical theme parks, and the world’s largest comic book convention, bored children don’t stand a chance in San Diego. Kiddos can mingle with exotic animals, splash through waterfront fountains, and marvel at towering Lego sculptures. It's all here and more in our guide to the best things to do with kids in San Diego.